Who fought and died for Charlie! If the men who fell at Culloden lie under lonely cairns, where is Bonnie Prince Charlie himself buried? I stumbled on the answer some years back. While wandering through the big marble barn that is Saint Peter’s Basilica gaping at the tombs of dozens of popes, I came upon the final resting place of Charlie, his brother Henry Stuart, Cardinal of York, and their father James III. The word Jacobite (from the Latin for James) is the word given to their cause and to parties that supported them. The lost cause had patriotic and nationalist tones but it was heavily religious. If England deposed James II over his Catholic tendencies, his son and grandson embraced a Catholic identity. Hence their resting place. Did the Jacobite cause die with Henry? Not really. Various groups for various motives supported it and, in later years, romanticized it. During research for newest book, Dangerous Secrets, I found an odd fact. 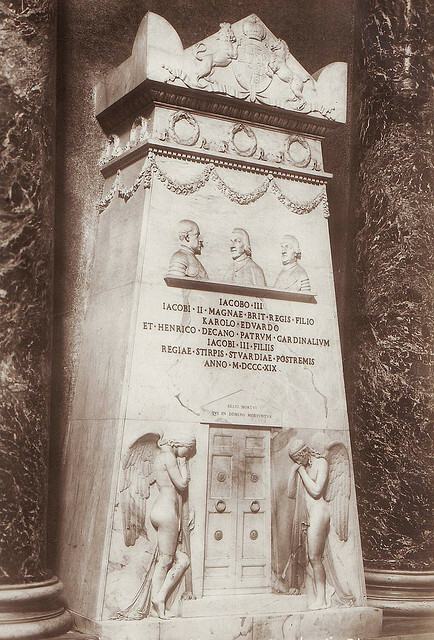 By 1820 the Jacobite succession had fallen to the House of Savoy, rulers of the Kingdom of Sardinia, which included the island of Sardinia, Genoa, and the Piedmont, and later the first kings of a united Italy. How could that be? Dynastic relations in the eighteenth century were complicated by the intermarriage of myriad royal and ducal families across Europe. Most of us remember that England deposed James II in favor of his daughters Mary and Anne. Unfortunately, both died without heirs. Things got complicated. The English Parliament passed The Act of Settlement in 1701 providing that the crown would pass to the protestant heirs of Charles I’s sister Elizabeth. 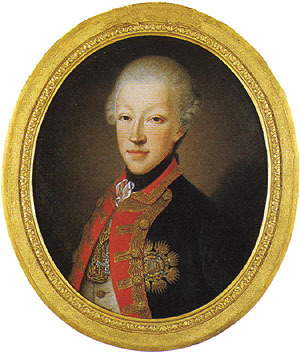 The succession of George I of Hanover inaugurated the Georgian Era. 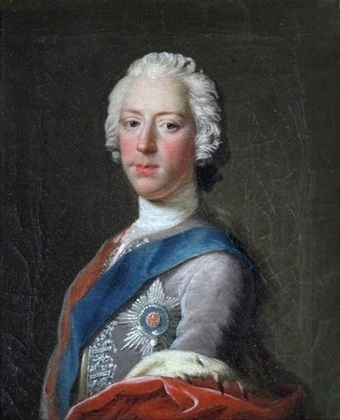 They passed over James II’s son James III, the “old pretender” (by then firmly Catholic), and the Jacobite cause raged in earnest, culminating at the Battle of Culloden. When James III and his sons, the bonnie prince and the cardinal, died without heirs, their claims passed to the grandson of James II’s sister, Charles Emmanuel, King of Sardinia. Clear as mud? The Jacobite Heritage Web site kindly provides a genealogical chart to explain the succession. The Sardinian Kings never pressed the claim, as my hero in Dangerous Secrets explains to Nora, his employer and his love. They were however powerful figures and protective of their own rights. Dangerous foes indeed. The House of Savoy may not have pressed their claims, but others kept track of the Jacobite Succession and still do. The current claimant is Francis, Duke of Bavaria. Jacobite Heritage lists his possible successors to position 119. ← Mary Elizabeth Surratt–Co-Conspirator, Starstruck Fangirl or Helicopter Mom? Great post, Carol. That English history can sometimes be a bit dicey, to say the least! Fascinating post. And your novel sounds interesting, too! James VII/II was deposed in all three kingdoms by the English and Scottish Parliaments. The 1707 Act of Union applied the Act of Settlement to Scotland as well. It certainly did. Not everyone agreed meekly. Great post Caroline! Sorry to be late to the party. Yesterday was brutal at work. My Fraser ancestors wound up in the New World due to their support of the Stuart cause. Old Simon Fraser, 11th Lord Lovet, lost his head, his title, and his lands at the Tower of London in 1747 due to his “treason” at Culloden. His son then spent the better part of his life trying to get it all back by raising what was left of the clan to fight Britain’s wars in the New World, including the American War of Independence. I suppose one could say they lived up to the family motto, Je Suis Prest (I Am Ready), for they were certainly always ready for a fight! When we went to Cape Breton I was surprised to see a proliferation of Scots Catholic churches. As a member of the old religion, I expected Presbyterian. Then it dawned on me that it was settled by refugees after Culloden. My maiden name was Murray. Their motto was Tout Pret (all-or everyone-ready).